Put on elegance. 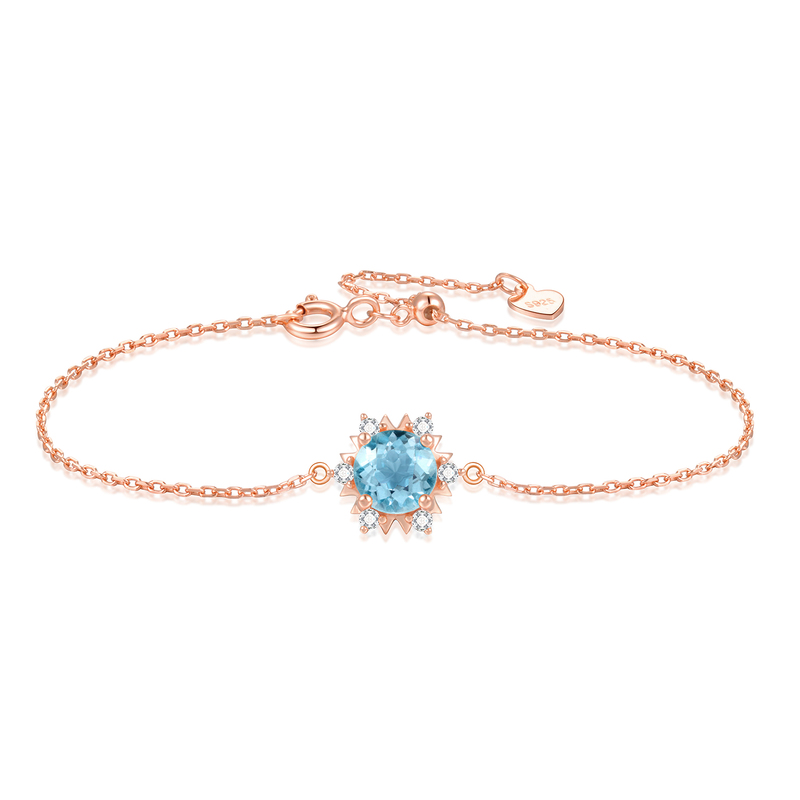 This bracelet is an everyday beauty that will make you shine. Don’t think about it, this is always the best option to go with your ensemble. Take it out on Casual Friday, or wear it for a black-tie event.• Classic beauty that will always be in style.• Enough everyday grace to last a lifetime.• Haute couture look, bargain jewelry price.Gorgeous and stunning, this link bracelet features 1.25 CTW Blue color AAA clarity Round topazs complemented by CTW White color AAA clarity Round zircons in .925 roseTotal carat weight is 1.25.